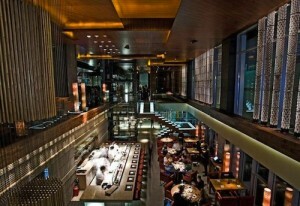 I love Zuma and I have never ever eaten better then there! You can believe me, I have eaten in plenty, many IN-Places worldwide! Try it and you will know what I’m talking! Have fun! 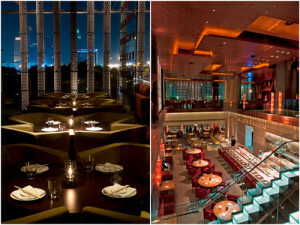 Zuma Dubai is the fourth worldwide, with Zuma restaurants located in London’s Knightsbridge, Hong Kong and Istanbul; and the fifth Zuma open 2010 in Miami. 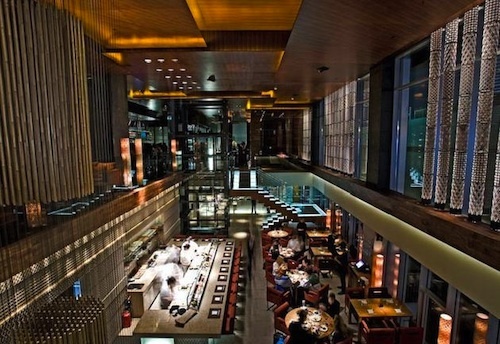 Zuma, the brainchild of German chef Rainer Becker, offers a sophisticated cuisine philosophy inspired by the informal Japanese dining style called Izakaya.The authentic but not traditional dishes are brought steadily to the table for all guests to share, complemented by a vibrant atmosphere. The ambience is complimented by seductive lighting and the resident DJ’s artistic acoustics. The design was created by tokyo based noriyoshi muramatsu of studio glitt, formerly of the world renowned design house, super potato. 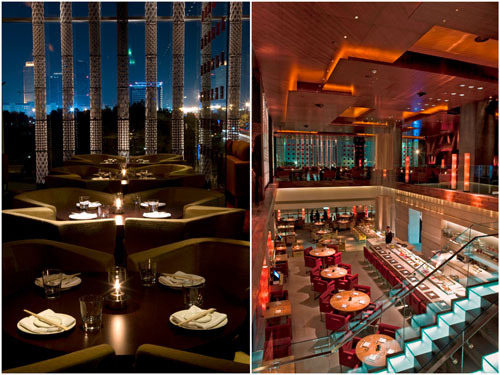 Zuma dubai balances the six elements of fire, earth, water, air, wood and iron to achieve harmony. the restaurant showcases hand carved granite counters, salvaged rusted-steel walls and a spectacular bamboo sculpture, created from 450 wires and 350 bamboos, which transcends the central void.